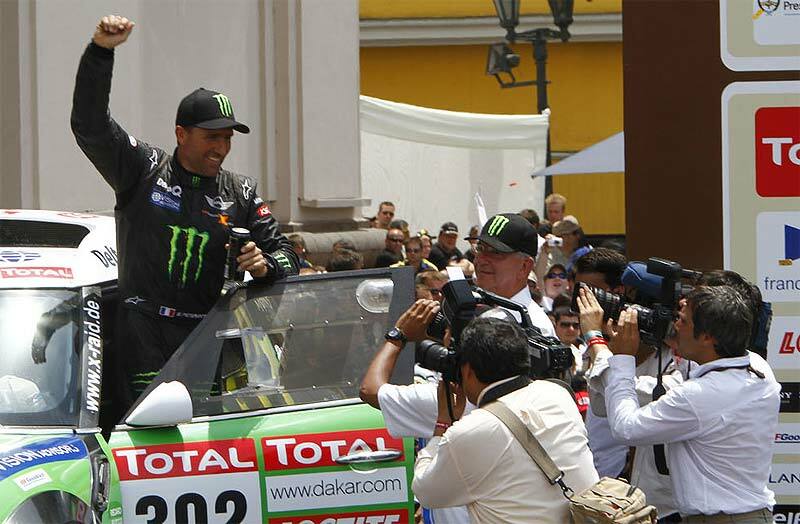 SA-Dakar Rally: "Dakar Dominator" - X-raid with 5 Mini and 3 BMW in Lima. 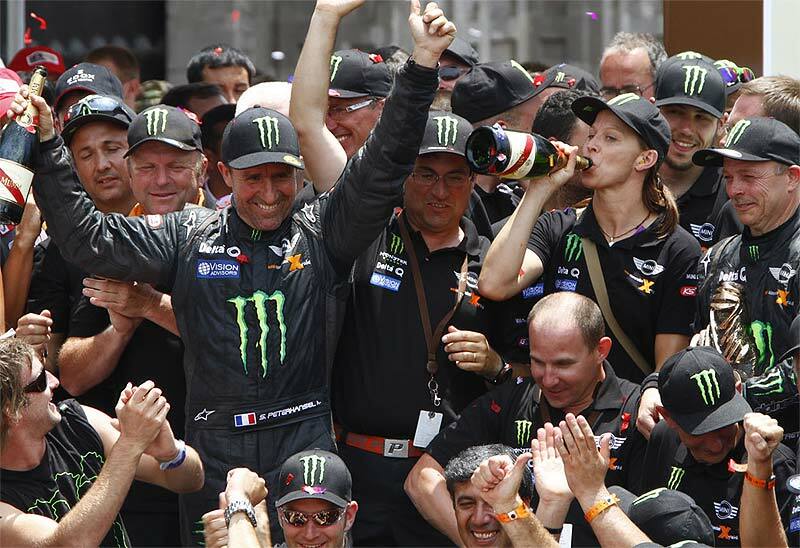 10th Dakar win for Stephane Peterhansel: Dakar record winner Peterhansel switched to Team x-raid following the 2009 Dakar. Up to that point in time, "Mr. Dakar" had celebrated 6 motorbike wins (1991, 1992, 1993, 1995, 1997, 1998) and three on four wheels (2004, 2005, 2007), in the legendary event. Now, by his first win in South America, he added triumph No 10 - by delivering in his well-know style. 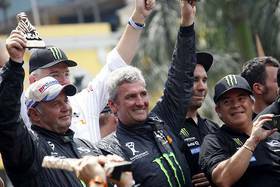 Peterhansel celebrated three special stage wins in this year’s Dakar and convinced - as usual - by consistency and a matured style of driving. Thanks to this approach, he avoided getting involved in any major problems and on day three, he took the lead for the second time to defend it until the rally was over. But the success story didn’t end with Peterhansel’s win, as all the five X-raid Mini entered by the team made it to the top 10. Nani Roma (ESP) ad Michel Périn (FRA) impressed by celebrating three special-stage wins and finished runner-up, thus giving the Monster Energy X-raid Team a one-two, in the 2012 Dakar. Meanwhile, Russia’s Leonid Novitskiy and his German navigator Andy Schulz demonstrated that consistency is the right approach for being successful. 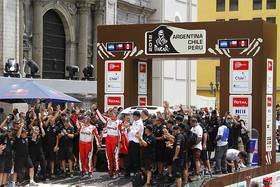 They won the first special stage and afterwards, they successfully avoided getting involved in any major problems. 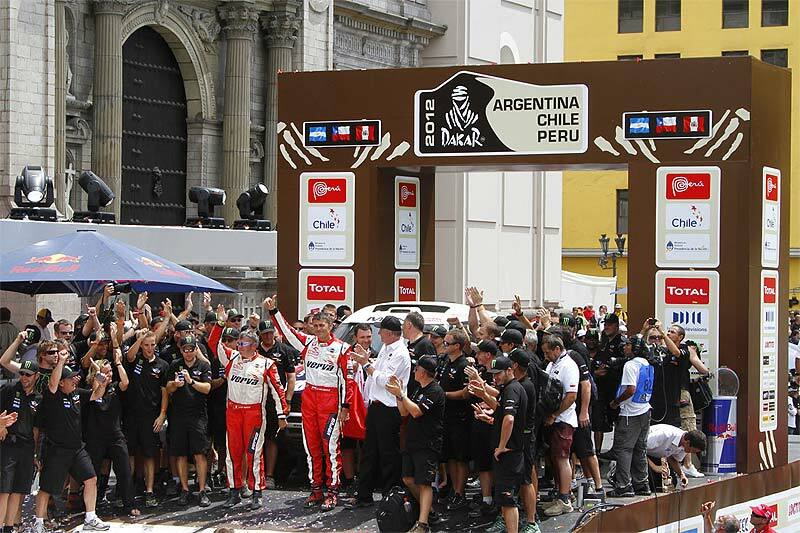 Finishing fourth in the overall rankings represented the well-deserved reward - and the best Dakar result ever secured by a Russian driver in the Dakar’s car ranking. In addition, Novitskyi also was the best-place semi-professional driver in the 2012 edition of the event. For a long time, Polish-Belgian pairing Krzysztof Holowczyc / Jean-Marc Fortin also proved to be a factor in the battle for a top-three position. In the 10th special stage, however, their Orlen Mini encountered problems that cost them their chance of making it to the podium. The fifth Monster Energy X-raid Team pairing, the Portuguese Ricardo Leal dos Santos und Paulo Fiuza, completed the outstanding team success by taking their red MINI ALL4 Racing to eighth position in the overall rankings. 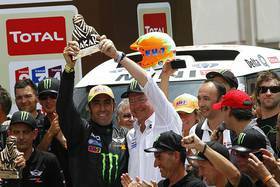 Chilean-French pairing Boris Garafulic / Gilles Picard made for a major surprise in the 2012 Dakar. 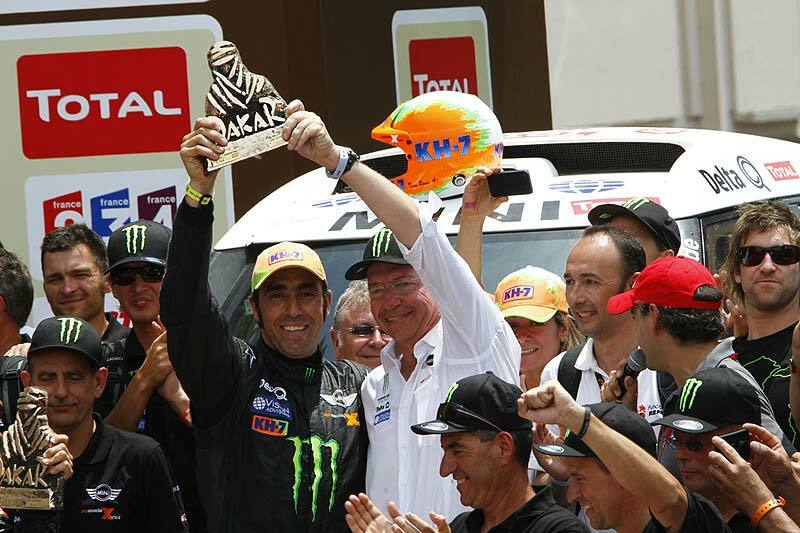 While Picard was one of the most experienced co-drivers in the field, Garafulic contested his only second Dakar. Nonetheless, he made it to the top 10 in several special stages and in the end, he secured 12th position in the overall rankings, with the two Russians Alexander Mironenko and Sergy Lebedev taking their Buer BMW X3CC to 16th position. German pairing Stephan Schott and Holm Schmidt had to cope with a huge dose of bad luck, with their KS Tools BMW X3CC. Incidents caused by rocks and opponents prevented them from securing a better result. At the end of the day, they had to settle for finishing 31th. Now, the rally vehicles and the service fleet will be shipped back to Germany. In the coming days, a cargo ship will take them back to Europe where they will arrive around mid- to late February. And just a short time later, it’s back to business in the kick-off of the new FIA Cross-Country Rally World Cup season.